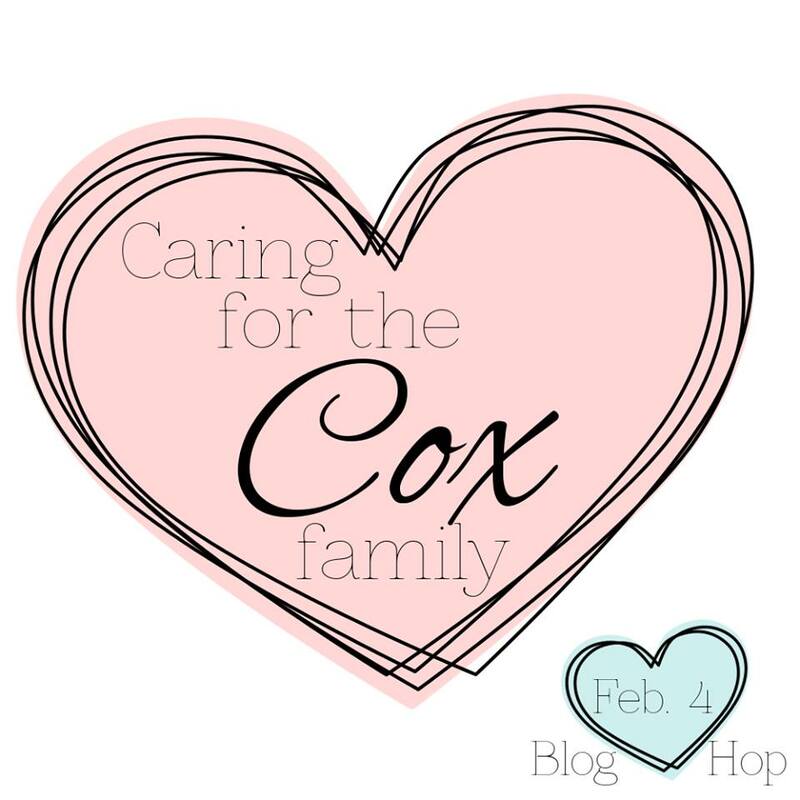 Welcome to Stop 7 of the Caring for the Cox Family Blog Hop! If you're falling into the middle of the hop, please start at Ashley's blog post to go through the entire hop in order, or see the complete hop list at the bottom of this post. THERE ARE PRIZES, PEOPLE! Details about the prizes are on Ashley's blog. Entries for the prizes will be drawn from comments on all the blogs of the hop, and people will get an extra entry for donating to the GoFundMe link below. 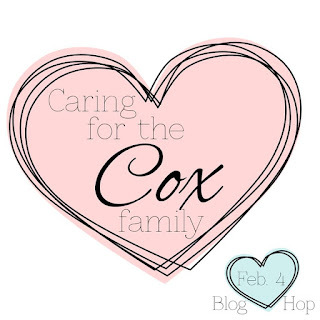 It's an honor and a privilege to be a part of this Caring for the Cox Family blog hop for Ann, Kevin, and their young son, Liam, who are going through an extremely tough time right now. Ann and I met through Splitcoast and her blog, Creative Antics, years ago, and I always admired her design sense and her humor. Also, Ann is a high-school English teacher, and y'all know how much I love people who appreciate both great literature and proper grammar. I wanted my card of encouragement to speak to them personally. I know one of Ann's favorite color combinations is aqua and red, that her stamping style is definitely clean and simple, and that they are faith-filled Christians. Putting those things together gave me the idea for this card. Here are the links for the hop. What an amazing list of talented stampers. I want to thank Ashley Newell and Karen Kelly for pulling this hop together, and Lawn Fawn, CAS-ual Fridays, and Sugar Pea Designs for their generous prizes. 7. Susan Raihala --You Are Here! This card is a beautiful reminder that the Lord loves & cares for us every step of the way! I love your beautiful card and the lovely sentiment! The silver look lovely and is the perfect touch! Thank you for joining in the blog hop, you're wonderful! Beautiful! Love the aqua/red combination. Clean and simple to deliver a beautiful message. My heart goes out to the family during this time, and prayers for them. Love your card! I donated and will pray for their family. Great idea to do this! awesome CAS design..love the added silver! Wonderful card and encouraging words to uplift them. Beautiful encouraging words. Your card is wonderful. Such a beautiful thoughtful card. I donated...hoping a bit helps! Your card is so pretty! And such an important verse! Perfectly done for this occasion Susan. I love how you always know the perfect embellishment that "makes the card". Love the teal and red. The anchor theme? Perfection. Very nice sentiment. Nice card too. Your card is fabulous . . . so clean and simple . . . and I especially love that amazing silver border. God's blessings for the Cox Family. Praying for them!! What a beautiful card - wonderful verse. Beautiful and classic card, Susan! Your friend will treasure the card for several reasons - the thought behind it, the colors you used, the sentiment which is so true!, and most importantly, the love, prayers & encouragement that are being conveyed with it. I love your card! Those colors are great together. Sending prayers for the Cox family.